To preserve our standing in the market, we are betrothed in the realm of offering an exceptional quality collection of Promotional Sipper Bottles. We can do the printing as per as requirement. 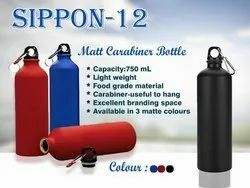 These bottle are in huge demand in the overseas market. 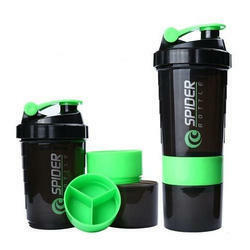 Plastic sipper in dumbell shaped customized with one color printing of logo, name, companys name, teams logo, teams name. Manufacturer and Exporter of Sport Sipper Bottles, Transparent Plastic Sipper Bottle, Promotional Handy Flask and Metalic, metal silver sipper, Black Sipper Bottle, Promotional Bottle, White Sipper Bottle. We Supply all over India & Metro Cities Like -Delhi, Bangalore, Mumbai, Calcutta, Hyderabad, Chennai, Ahmedabad, Pune, Surat, Noida, Kolkata, Goa, Kerala. Minimum Order quantity is 100 Pcs. Promotional sippers available in 500/600/750 ml in white and silver colors. Promote your brand with these bottles with four color printing.